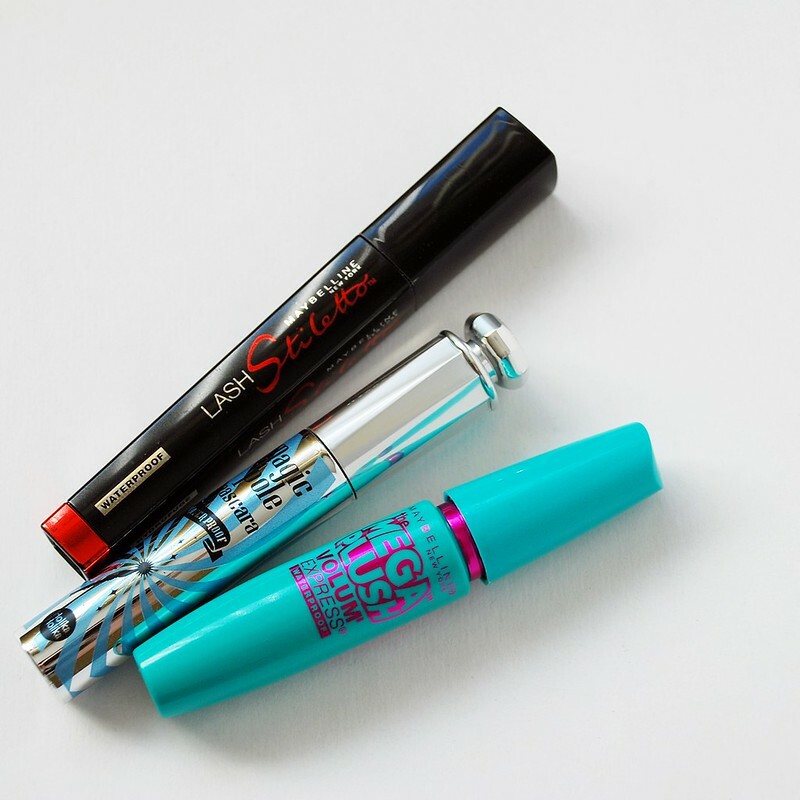 What does a mascara wand look like? Long, bristled brushed wands? Plastic bristles? Rubber tips? Maybe even a comb type? 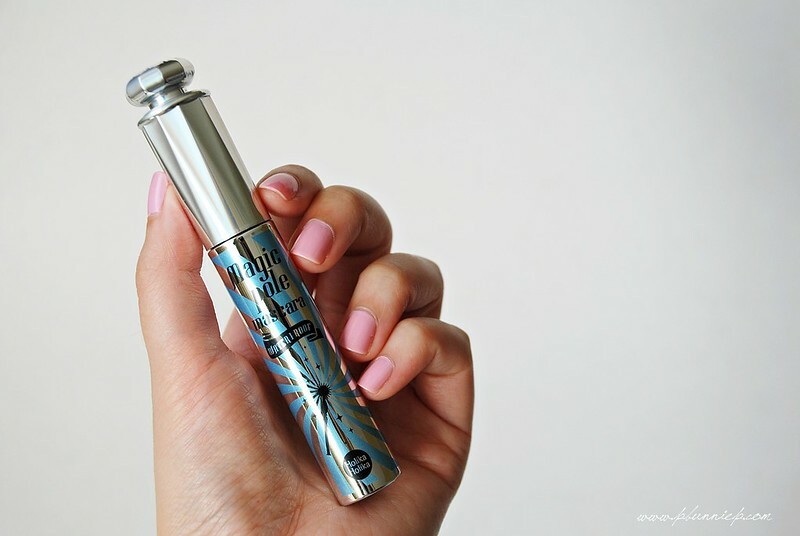 As much as we can improve what goes inside the tube, the past few years has seen a surge in creative ways of reworking the mascara wand with some intriguing results. 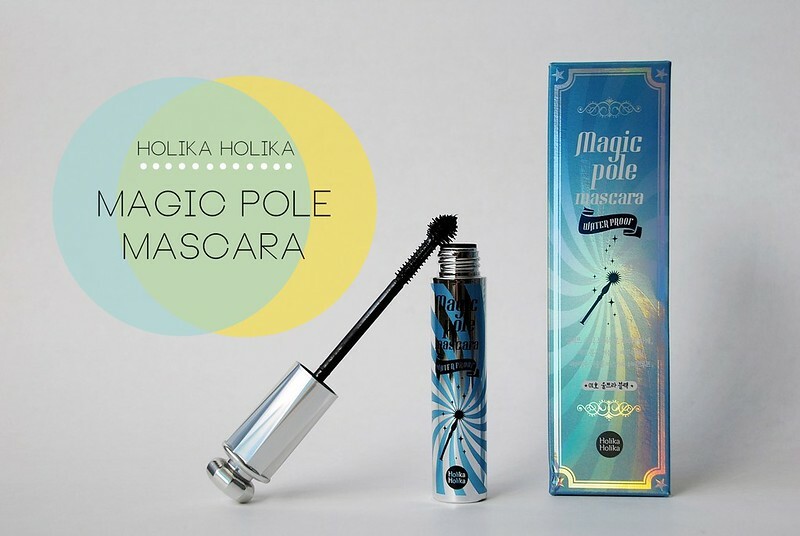 Korean brand Holika Holika has merged two popular trends in mascara, plastic bristle wands and the bulb design (think Givenchy Phenomen Eyes, L'Oreal Lash Explosion) into their hot selling Magic Pole Mascara. Beyond the eye catching design (how much do we love the swirls here! ), Holika Holika created this product to be smudge resistant, ultra black, with good curling capabilities yet washes away easily with warm water. The bristle tips are made of a flexible rubber rather than plastic, making the brush section of the wand quite flexible when maneuvering into hard to reach corners. 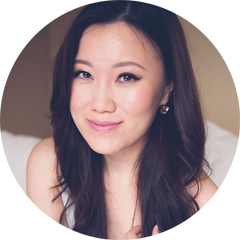 The mascara formula itself is a wax based rich deep black that's more creamy instead of watery or dry. In function, I found the wand to work quite efficiently as I could coat a large middle area of my lashes with a few strokes of the short end, working the inner and outter corners with the bulb tip. Then a finally combing through my entire lash line with the longer bristles of the tip gave me dark, defined and separated lashes that still looked very natural....almost too natural. For a volume seeking, false lash fanatic like myself this mascara just wasn't volumizing enough for my personal taste. While it was fantastic at darkening up my lashes and enhancing the length, it just wasn't very buildable. I would recommend working with it while it's still wet because if you let it dry between layers then the subsequent coats tend to build unevenly over already mascaraed lashes. As a creature of habit, I automatically started loading up only to find it gave me some spidery looking results so remember the method of application is certainly an important factor for this mascara. For anyone who is a fan of film type formulations, this is exactly what Magic Pole is. Because it coasts the lashes with a rubbery film, it shields against rain and most day to say smudges. However if you are prone to rubbing your eyes, skip this because bits of mascara film will flake onto your cheek when disturbed. To remove it, I cup some warm water in my palm over my eye area for a few seconds and then simply pinch and slide the film off my natural lashes. In fact, this is the best way to remove this type of mascara as opposed to makeup removers which left bits and pieces of mascara particles everywhere. 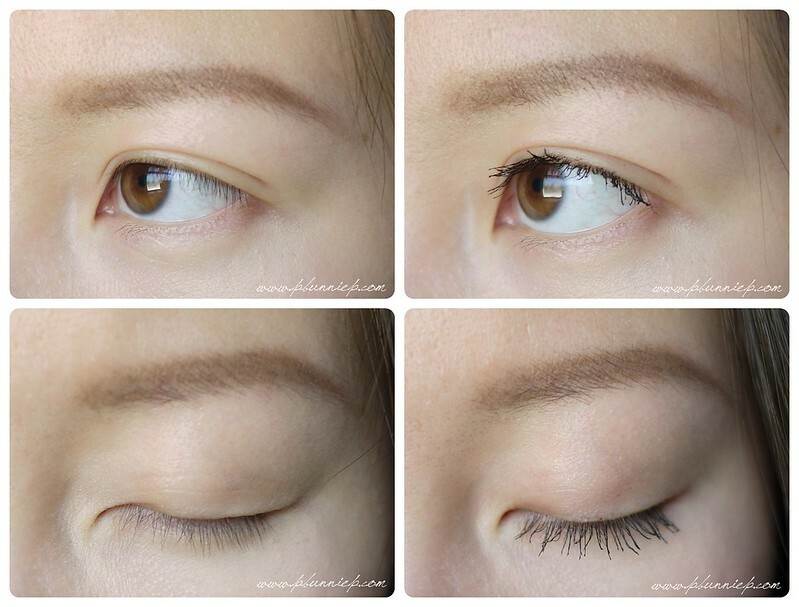 If you've used anything like the TooFaced Lash Injection or Dejavu Fiberwig Mascara, the process is identical. 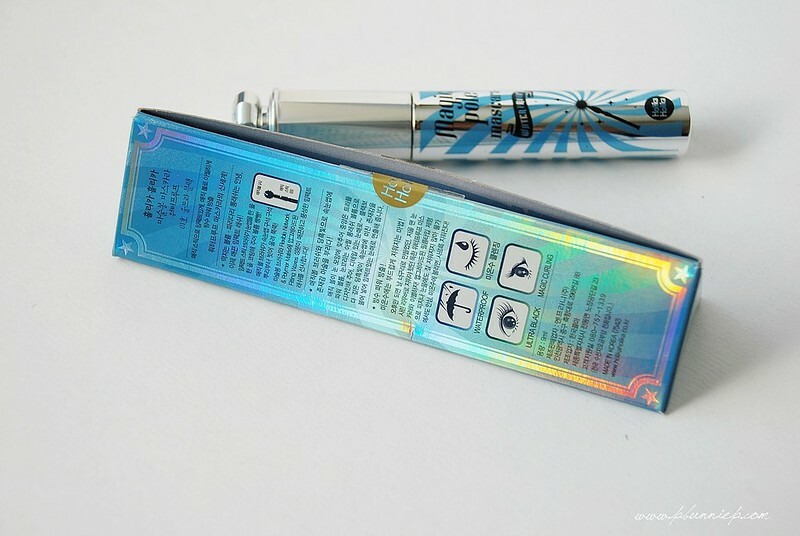 Unfortunately, the formulation of Magic Pole did little to nothing in helping curl my lashes or even keeping a curl and in combination with it's lack of volumzing power, it's not likely something I would use again after this tube. Currently I've been pairing this with simple makeup consisting of bright cheeks, soft eyebrows and lip gloss. 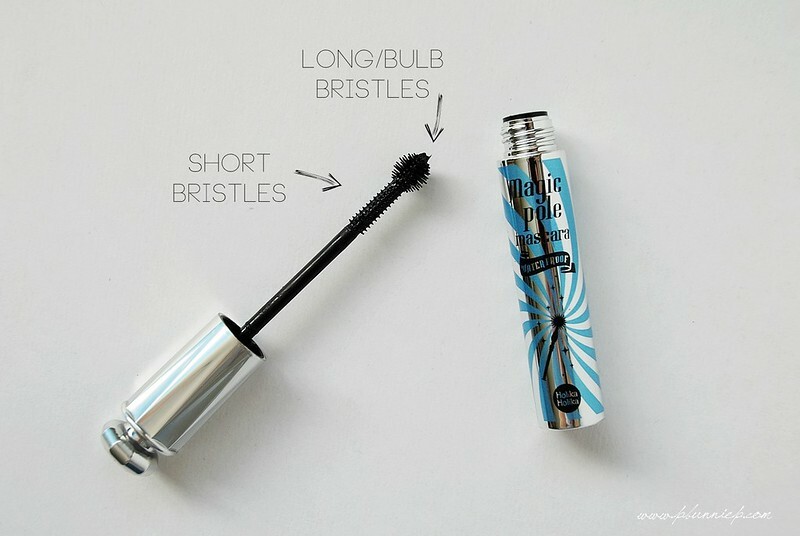 I have noticed though that since this formula wraps around my lashes with a film instead of coating onto them that my lashes aren't dry and unhappy unlike using other waterproof products on a regular basis. Recommended for :: Anyone who has medium to full density lashes who are looking for definition, colour, separation and a bit of lengthening. 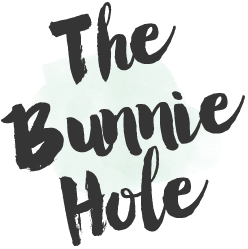 Great for those who prefer a natural makeup look and those who already have some curl to their lashes. Long lasting but easy to remove. If you're feeling extra magical, there's also "Mystic Purple" available! The brush is unique, but I'm really not a fan of HH mascaras - I tried the purple one, and oh dear. It looked so messed up on my lashes I had to take it off. *n* Thanks for the honest review! I have yet to try a mascara with this type of wand but they do intrigue me... too bad this one was a bust!